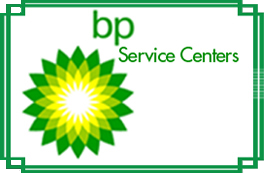 BP Service Centers provide superior auto repair and maintenance to the suburban St. Paul, MN area. We strive to perform quality service and treat your vehicle as our own. We’ve been serving our communities for more than 40 years with great customer service and quality vehicle care. BP Service Centers’ ASE certified technicians offer the latest test and diagnostic equipment, use only top quality replacement parts and pick-up services. We offer the latest in computerized repair and maintenance services and guarantee your complete satisfaction. BP Service Centers provide over 40 years of excellent customer satisfaction. With locations in Rosemount and Mendota Heights we offer full auto service to multiple communities. We are also a full-service gas station that meets your every need on the go.